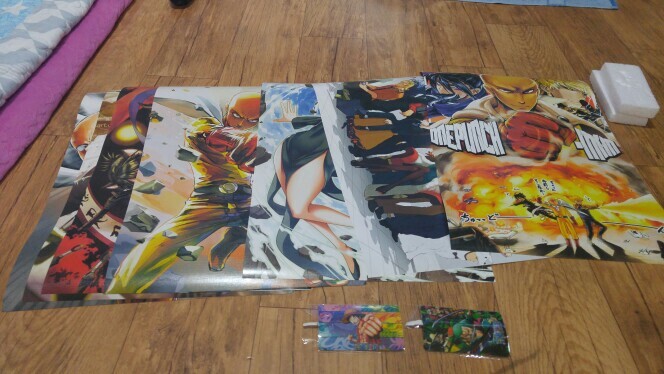 One Punch Man high quality paper 8 posters set. The size of each poster is 42 x 29cm (16,5 x 11,4″), and it comes with a double sided tape to stick it on the wall with ease. This set includes 8 RANDOM posters. You can find more OPM products here : One Punch Man merchandise.